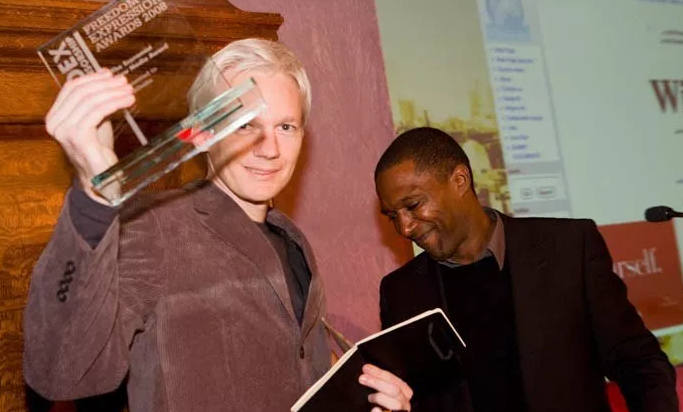 As we discussed yesterday, whenever Assange is in the news and people are defending him you always see a bunch of hyper-emotional empire loyalists running around online trying to manage the narrative about him. One of the most common talking points which comes up is that Assange is “not a journalist”. You can look at any conventional dictionary definition of the word and come to the same conclusion. Merriam-Webster offers “the public press” and “the collection and editing of news for presentation through the media”. The Oxford English Dictionary offers “The activity or profession of writing for newspapers, magazines, or news websites or preparing news to be broadcast.” Your Dictionary offers” the work of finding, creating, editing and publishing news, or material written and presented for a newspaper, magazine or broadcast news source.” These are activities that WikiLeaks is undeniably involved in; they collect and publish newsworthy information to be circulated by themselves and other news sources. The fact that they do their part differently (and better) than other outlets doesn’t change that.